If you’re looking for the ultimate Siargao Island hopping experience and If watching the sunset and cruising around on a boat sound like something you’d like then don’t miss our biweekly sunset cruises. 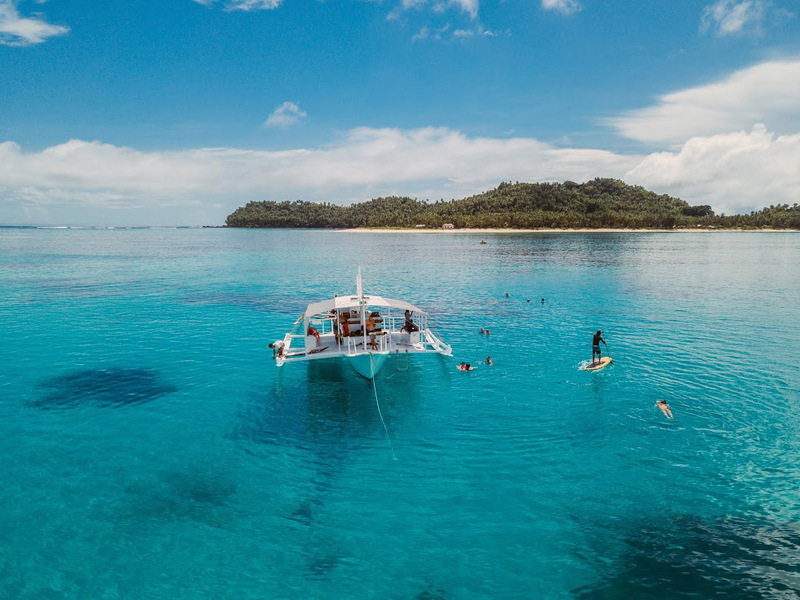 Our fun filled cruises will take you from the General Luna pier, passing through some of the most beautiful islands off the coast and straight to your happy place. This all inclusive tour will make sure you are well fed, all you can drink beer/rum, and our DJ will make sure the vibe is right! This is for everyone, especially if you’ve already tried the typical Siargao Island hopping tour! Whether you are a nomadic adventurer or a city dwelling hipster this activity is for you! Part of the beauty of Siargao is the different backgrounds and the diverse crowd the island attracts. With the friendly nature of the island and its visitors you will be sure to make new friends before the sun even sets. We encourage all ages, young and old to join. Although, for this activity our age cut off is 16 years old. Half of this cruise is at night and there is alcohol being served so for safety reasons we please ask you to leave your kids on land. We have more family friendly activities where you can enjoy with your little ones! Also, for most of our activities we encourage our guests to know how to swim, if not, we do have life jackets available for everyone on the boat. 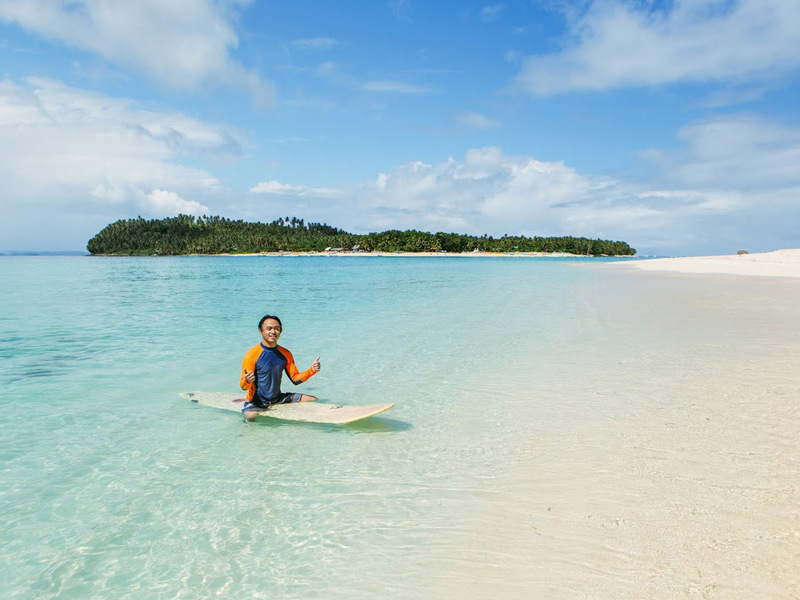 Siargao Island tours have never been this awesome! We will be starting our sunset cruise at 3pm. This way we can get you off the island and onto the water, go visit an island, enjoying some time on the sand or splashing around the shallows in the sunlight, meeting your fellow boat mates and get you back on the boat to be cruising around in time to enjoy the sunset with a drink in hand. After the sun goes down we will turn on the mood lights so you can enjoy the music and the stars. We will have you back in the General Luna market by no later than 9pm. How many people can the boat hold for this trip? 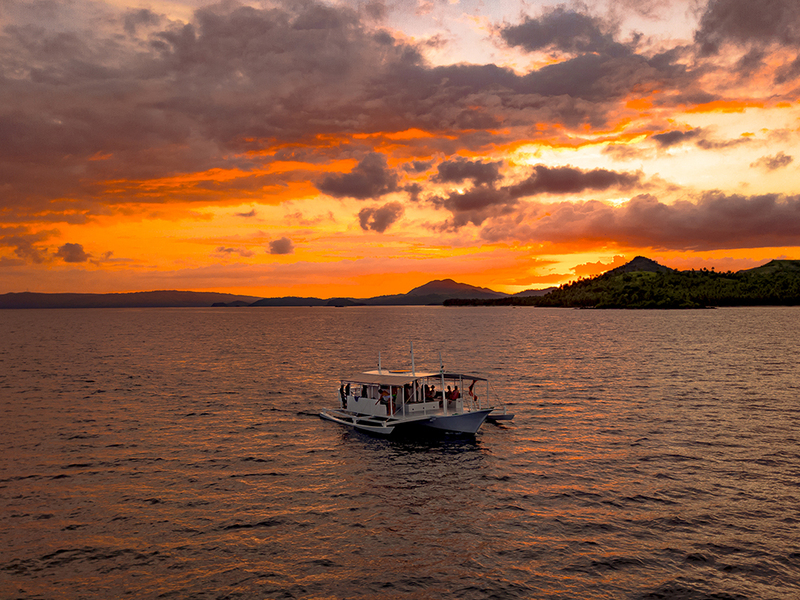 Our maximum load for the sunset cruises will top off at 25 guests. Since there is such limited space we recommend you book online to secure your spot and also that of your friends if you’re travelling in a group.